However, the preparation of this drink varies considerably from one part of the world to the other. Irish coffee is considered a part of Christmas celebrations and is immensely popular during the holiday season. The ingredients used to make Irish coffee are pretty simple but the amount in which you need to use each one can have a great impact on the final taste. While the recipe might look easy at first, Irish coffee is one of the most difficult beverages to perfect. Thus, you will need to try a couple of times before you can enjoy the truly luxurious taste that coffee lovers around the world are in love with. The origin of this delicious beverage is not clear. However, it has certainly been around for a hundred years. Coffee houses in Vienna have been serving Irish coffee since the 19th century and traces of a similar beverage emerged in Denmark and Germany during the same time. There are many variations that have come forward throughout the years of the same cup of coffee. In France, during the 19th century, the beverage was called “Gloria”. However, when it comes to the inventor of Irish coffee, there are many stories going around. According to the first story, the first cup of this remarkable beverage came into being when passengers on their way to New York, stranded on the Foynes Flying Boat Airport. 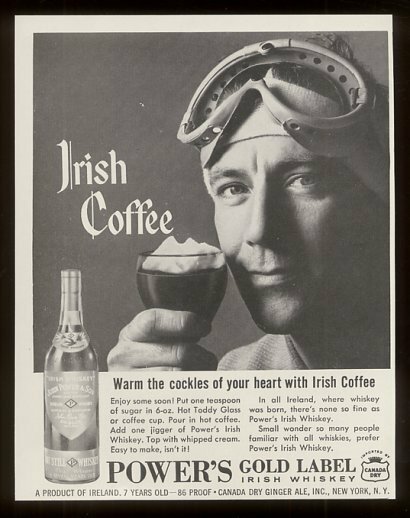 Due to the flight schedule getting altered, a chef and bartender at that time named Joe Sheridan prepared what would later be known as Irish coffee. Another origin of the same beverage is claimed to be Dublin by John V. Gallagher who used to be a professor of History at Harvard. According to his story, the preparation of Irish coffee goes back to a bar in Dublin with the founder being Michael Nugent. The third and the final story revolves around the introduction of Irish coffee in the United States. Stanton Delaplane, known as a popular travel writer, says that the beverage came to the US via him after he enjoyed a cup of the delicious variation of coffee at Shannon Airport. With so many stories about the invention of the drink, it is difficult to nail down the actual place of its birth. Nevertheless, one fact that everyone can agree upon is coffee enthusiasts devour Irish coffee all over the world. You must be wondering why this particular form of coffee gained immense popularity. The fact that this beverage provides the drinker with the ultimate warmth is what sets it apart. The use of Irish whiskey gives it a unique taste. Also, the combination of whiskey and coffee is something that will give the drinker a flavor never-before-experienced. Other than the luxurious effect of the drink on your palate, there are certainly other benefits of consuming this beverage on a regular basis. It is a well-known fact that having a cup of Irish coffee every now and then can help you improve your cardiovascular health. Your circulation throughout the body gets enhanced as a result of drinking the beverage in moderate amounts. The levels of plasma in your body increase considerably as a result of consuming coffee. This, in turn, reduces your likelihood of suffering from Diabetes Type-II. Moreover, drinking coffee is also a good way of reducing excess weight. This is because the consumption of coffee lowers your appetite and helps you lose weight. The ability to avoid gaining weight helps you reduce your risk of getting Diabetes Type-II. Did you know that one of the major reasons for heart attack or stroke is blocked arteries? Well, you will be surprised to know that you can avoid this life-threatening condition through frequent consumption of Irish coffee. The caffeine in this coffee helps in reducing blood clots and in clearing blocked arteries. This helps your heart to pump an ample amount of blood throughout the body and helps prevent a stroke. Parkinson’s disease is caused by a major imbalance in the human brain. Compounds found in brewed Irish coffee help to create a balance inside the brain. As a result, people who consume the beverage realized benefits and useful effects to fight this disease. It is really hard to see your loved ones in a situation where they cannot control their brain and body muscles. Recent reports released by one of the most renowned laboratories suggest that Irish coffee can help in reducing the risk of Parkinson’s disease. If you are addicted to alcohol, smoking or any other drugs, you are prone to some kind of liver disease. The first step for keeping your liver safe is to avoid excessive smoking or any kind of drug abuse. Secondly, you should consume Irish coffee once in a while. Research indicates that certain elements found in Irish coffee help in fighting many kinds of liver diseases, including liver cancer. A cup of Irish coffee can provide ultimate warmth to an individual. The main ingredients used to make this delightful cup include whiskey (particularly Irish), whipped cream (optional), coffee, and sugar. If you search the internet for authentic recipes, you will find many variations. But you do not have to feel overwhelmed. All you have to do is try out a couple of them in order to get the right taste. Or, you could follow the recipe that we share in this article which will surely make you fall in love with the rich taste of the beverage in front of you. Whether you like adding whipped cream in your coffee making process is up to you. However, the use of Irish whiskey is a necessary part. While many people in the United States skip this tradition, if you wish to enjoy the real, authentic taste, you must go out on a mission to find Irish whiskey before you start making a cup of this beverage. Also, if you have a medical condition that requires you to reduce your sugar intake, you can cut back on its use. Apart from the coffee bean itself, there are a couple of essential ingredients that define how your coffee will look, smell and taste like to anyone who will drink it. In an Irish coffee, sugar is used not only to add flavor, but it is a great ingredient to keep the cream floating on the top. While some suggest that original Irish coffee used brown sugar, you can use white sugar or molasses as well. A famous type of Irish Coffee is prepared using melted sugar as well. Another important component in an Irish coffee, cream adds subtlety to your brewed Irish coffee. However, the major challenge is to whip any kind of cream in a way that it makes your drink look more delicious and floats on top as well. There are a couple of tricks that you can use to give your Irish coffee an authentic look. You should cream that is heavily whipped and is colder than the coffee. What this essentially means is that you take heavy cream, continuously whip it until it looks appetizing to the eye and pour it on a hot cup of Irish coffee. These two essential ingredients can completely change the way you make your Irish coffee. Hence, one should be quite careful in how they combine sugar and cream to make their perfect Irish Coffee. Skip the use of sugar cubes and instead go with the granulated form. To get the richness in taste, you must utilize a combination of white and brown sugar. According to our experts, brown sugar plays an important role in bringing the unique taste in Irish coffee. You need to reach a balance between both types of sugar. The second step is to choose the right booze. As mentioned earlier, it is best to choose Irish whiskey to get the authentic taste. 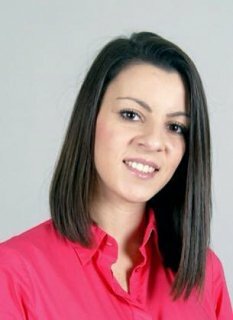 But if you feel your budget suffers tremendously due to the use of Irish whiskey, you can instead go with an alcoholic beverage that has a sweet and spicy flavor profile. During the first step, you heat the mug in which you wish to enjoy this delicious beverage. You can choose to do this by pouring warm water in the glass and then emptying it. Once this is done, you should pour coffee (3/4th) in the mug. Next, you will add sugar to the mix. As mentioned, it is always better to use both brown and white to get the most taste. Thoroughly mix the sugar and let is dissolve. The third step is to bring in the Irish whiskey. While adding Irish whiskey, continuously stir the mixture. If you are not a big fan of whipped cream, you can skip this step. However, for whipped cream lovers, this step is going to be their favorite. You will have to attempt the step quite a few times till you perfect it. Make sure that you do not alter the surface of coffee and gently pour a layer of whipped cream on top. After carrying out all the steps, you should be ready to enjoy the mouth-watering beverage and experience the richness in its purest form. It is recommended to sip your cup of coffee while hot. Some of the variations of the same drink include Irish Cream Coffee, Bailey’s Irish Coffee, and Buena Vista Irish Coffee. Among the first few players that took the world by storm with their brewed coffee machines and top of the line coffee marketing were Maxwell and Nescafe. The latest trend in the world of coffee consumption is Irish coffee. Irish men, women and their friends just cannot get enough of this traditional drink. According to a recent survey, one in three people from Ireland consumes a cup of coffee every day. For this reason, the number of specialized coffeehouses is increasing every year in the European region. 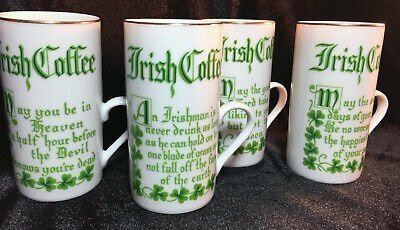 As Irish coffee fever spreads across Europe and around the globe, people started to personalize their order of Irish coffee. While some prefer to have this coffee in the form of an espresso shot, others want to add a special type of milk or cream in their coffee. Starbucks chains in some of the most cosmopolitan cities in the world, like New York and San Francisco, offer multiple types of Irish coffee at their stores. This shows how everyone is enjoying this type of coffee. 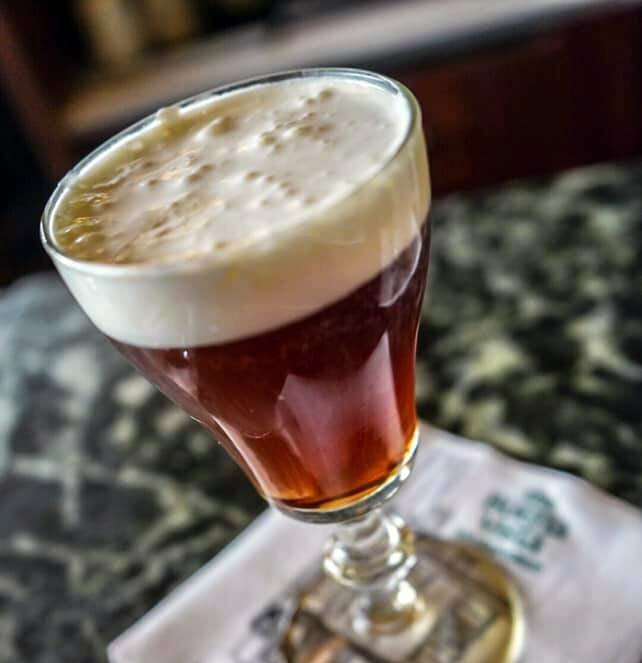 Since Irish coffee has now spread all over the world, bartenders keep inventing their own Irish coffee, delighting their customers with multiple flavors of this Irish heritage. They use different amounts of alcohol or add multiple types of whipped cream to give this coffee their personalized touch. Some of the most exotic flavors of Irish coffee include chocolate hazelnut, cinnamon and orange, peppermint, and coffee with liquor and tequila. Good Irish coffee is topped with a heavy and luxurious layer of cream, which can drown your mustache. It is usually served warm and is sweetened with enough sugar to amplify the flavors in your drink. Next time you go to a coffee shop, do not forget to try a traditional cup of Irish coffee, which is a treat for people of all ages.